It’s amazing how one really great accessory (like this amazing braided crochet scarf) is enough to boost self confidence and make you love the way you look (even more!). Nothing says “Goddess” more than a happy, confident woman. Transform yourself into a beautiful Goddess with this gorgeous and so rich looking braided cowl. This Double Layered Braided Cowl by CrochetDreamz is a stunning pattern, with a unique design. The pattern is really easy to make, despite the fact that it looks very complicated. The photo tutorial will teach you how to make it, step by step. Yardage: I used about 2 skeins of Vanna’s Choice. Around 340 yards. Thanks to Shehnaaz for the article inspiration and featured image. I emailed it to us! Is there a video to go along with this? As far as we know, three is only the written version. I can’t see where the pattern is, love it. 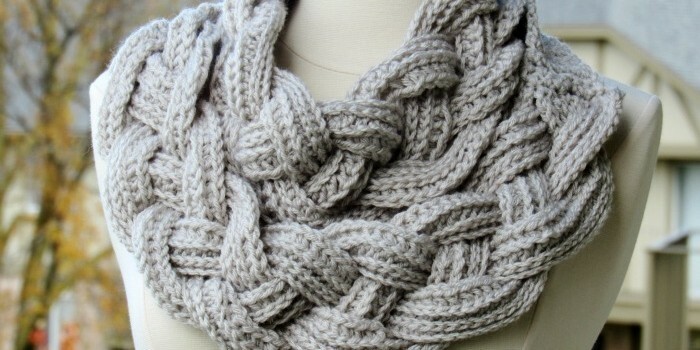 Hi Mary,please click the name of the pattern: Double Layered Braided Cowl to get to the pattern’s page. 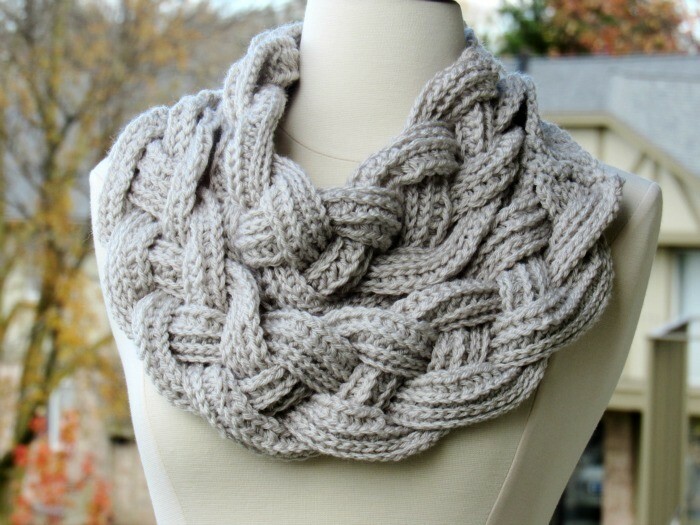 Was thinking of making this but it’s crochet so can you just make it for me in your free time?? Seriously! I want it!! I have made this pattern and get many compliments when I wear it. Quick and easy, too. Cindy Haas Hitch if I made it would you wear it? What color would be best. This afternoon or tomorrow morning…. or tomorrow evening. Whenever! Thank you so much for sharing my pattern. I’ve made three of them. They work up fast and are super fun! I have made a couple of these and ❤ them!! !